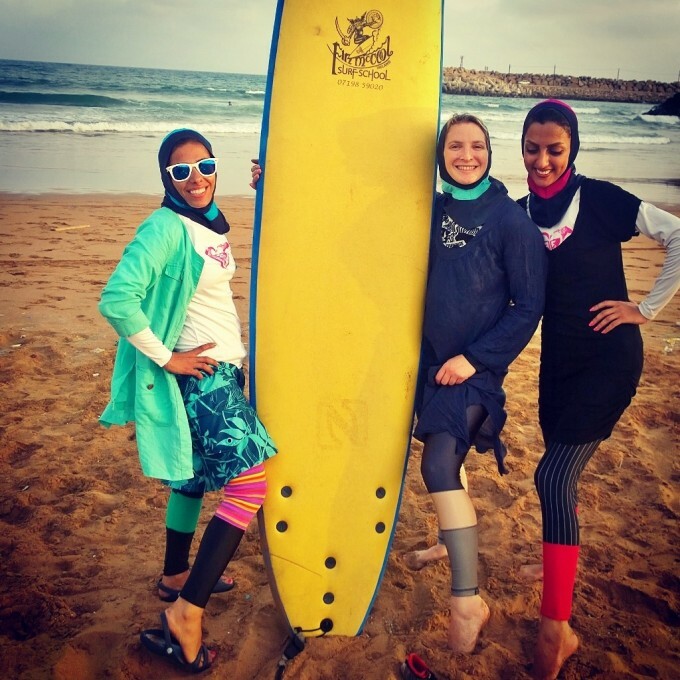 Three women, Irish pro surfer Easkey Britton, Iranian pro snowboarder Mona Seraji, and Iranian diver, Shalha Yasini, have taken it upon themselves to introduce surfing to Iran. 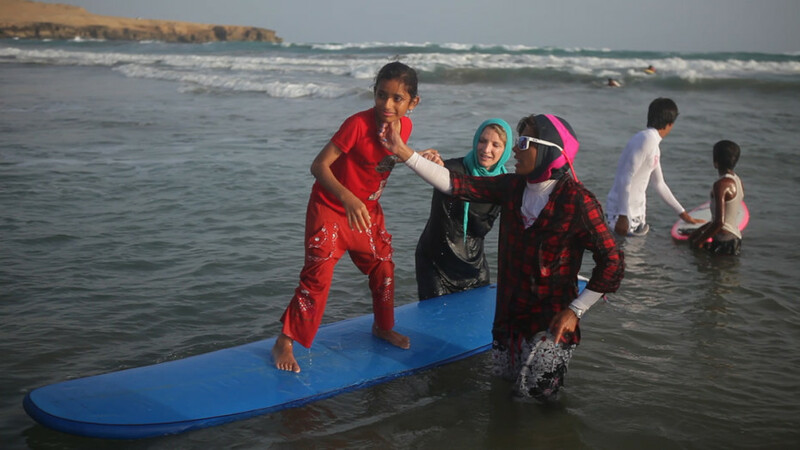 French film maker Marion Poizeau, who regularly accompanies Easkey to Iran, has also been a driving force behind this unlikely surfing scene with her documentary Into the Sea. The film follows these three women to the remote southeastern region of Iran, Baluchistan, where Easkey teaches Mona and Shalha to surf. 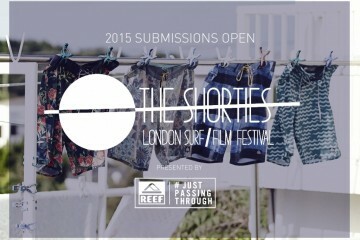 The result is the creation of the first Iranian surf club, Waves of Freedom. The club strives to empower those who are most vulnerable in society, particularly women and girls. They believe surfing is not just a sport but a lifestyle and an art-form synonymous with freedom and creative self-expression. “Once you get in the water the rules and norms of society dissolve and the power of the ocean to connect and spread happiness is huge,” says Easkey Britton. It is a fantastic example of women doing something really out of the ordinary and trying to positively change the lives of others.